In my day job, I am frequently asked to evaluate websites and recommend strategies and tactics to attract visitors. I also work on our corporate website to continuously improve its ability to attract customers. The efforts have been successful with a 50% increase in organic search! As you may know, organic search can significantly reduce the need for you to spend money on Search Engine Marketing, such as Google Adwords. In this post I want to share my top 10 tips to be found online through organic search. 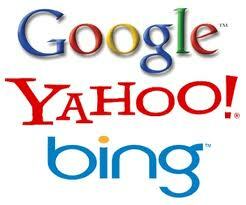 First, you need an understanding of Search Engine Optimization (SEO). It simply means optimizing your website in a way that will make a search engine’s spiders able to efficiently “crawl” and index your website. The content you create, the keywords you target and the way you optimize each page relate to SEO. As you go about creating, or revising, your website and its content, keep the following tips in mind. 1. Know Your Customers, or ‘Personas’. Develop customer profiles, or Personas, to help you create valuable and relevant content. Researching keywords that people use to find your website is one of the most valuable actions you can take to increase your Search Engine (SE) ranking. The simplest way to research keywords is to search for terms that you think your customers will use to find you. Or you can use free or paid tools. Make sure you use your keywords in title tags, H1 headlines, alt tags and your content (if working with a web developer they should be able to help you with this). Bonus Tip: Long tail keywords like ‘Cost of widgets in Toronto’ are better than individual keywords, like ‘widgets’, which is too broad a search term and would have a tendency to return unrelated search terms . When creating content think about the value to your customers that you want each page to provide first, and then which keywords match that value. A website with accurate well-placed keywords but with very poor content will not rank well. Blogging regularly is a great way to increase SEO rankings. 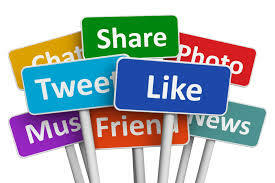 When shared on social networks a blog can increase total traffic to your website. Backlinks from other blogs and high quality sites. Make sure you’re not duplicating content – Google will penalize you and send your rankings to the bottom of the list. Choose descriptive URLs that accurately describe the content you’d expect to find on the page. The cleaner and more descriptive a URL is (not longer) the easier it will be for a SE to identify the relevance of the content on a page. Backlinks are links that lead to your website. 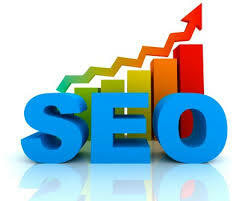 To SEs the number of backlinks is a strong indicator of the quality and popularity of your website. Social signals are the new link building tool. Google measures your website’s ‘pulse rate’ on social media channels. Allows you to create many backlinks when you post web pages or blog posts to, for example, Facebook, which link back to your website. Creates an opportunity for others to share your content, which will help increase your social signal and SE rank. Get extra search ranking points by including photos, images like InfoGraphics, videos and audio files where possible. For images, make sure you use alt tags and for videos, include short descriptions. Incorporate your location(s) into your website content wherever it makes sense and be sure to have a page of content setup for each location that you serve. Get listed/claim your pages in location based services and directories like Google+, Google Places, Yahoo listings and Bing Business Pages. Search engines are content and link hungry. Add new content on a regular basis. Update not just the content but also the look of your website, if it’s not been done in the past 2 years, so that your company maintains an up-to-date image with your visitors. If you don’t yet have a website, you need to get one. To get the most out of your online visitors, you also need to think about how to convert them to leads … but I’ll leave that for another day! ← I Booking Like This Commercial!